is a 3 set BUNDLE. 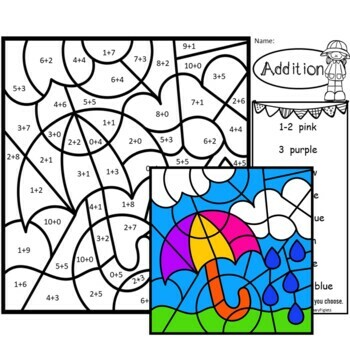 You get Addition Facts Color by Number Set of 8 pages, Subtraction Facts Color by Number Set of 8 pages & Word Families Color by Number Set of 8 pages. All pages are SPRING themed pictures. Color coded answer keys included. The addition set has 4 pages coded with addition facts Sums 1-10, and 4 pages addition facts coded with Sums 10-20. The subtraction set has 8 pages coded with subtraction facts. 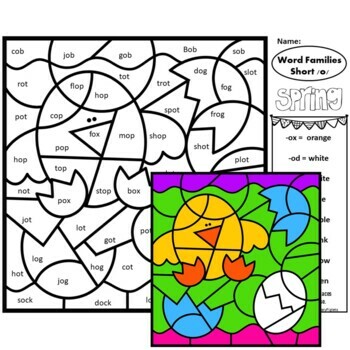 The word family set has 8 pages coded with short vowel word families. See sets listed above to view in more detail. 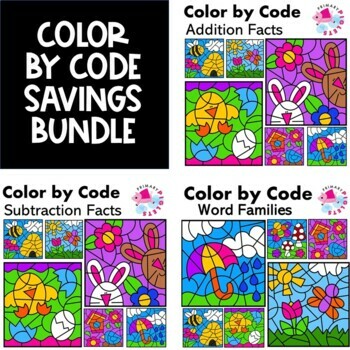 This 3 SET BUNDLE gives you 24 TOTAL COLOR BY NUMBER PAGES, providing you with the ability to fit the differing needs within your classroom. You can even provide choice, by putting out a few sets at a time and letting the student choose their picture, all the while you are choosing the skill they need practice with. Color by Number pages are highly engaging, and ENGAGED students are a teacher's dream! 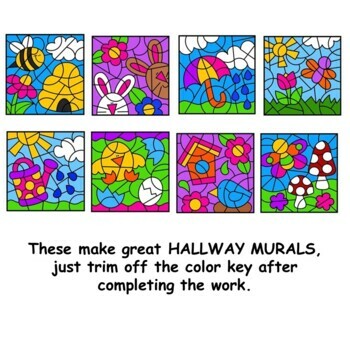 Give them some much needed ADDITION & SUBTRACTION practice while enjoying the CALM & FUN of coloring in mosaic picture. Visit my store, Primary Piglets for other fun products!